The CZ-75B features the short recoil, tilt barrel with radial locking lugs. The characteristic features of all versions are the following, double column magazine, all steel, dual action, fixed sights, and slide stays open after last cartridge has been fired. 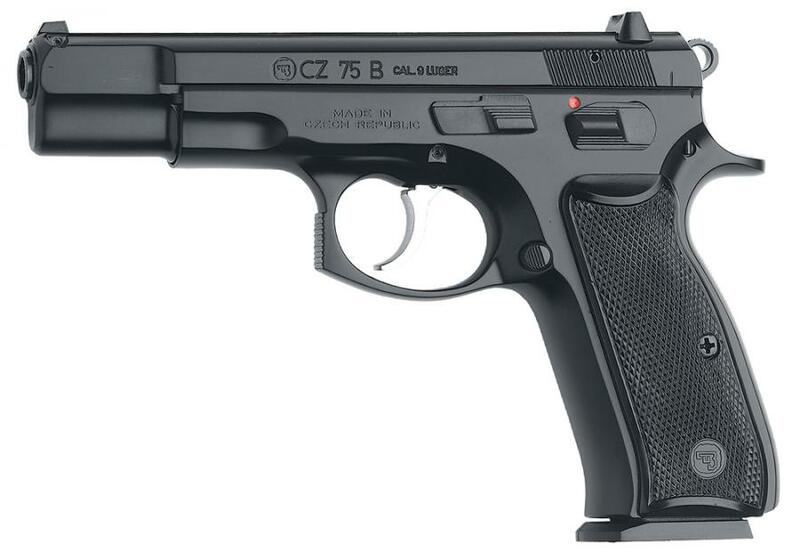 The CZ 75 B SA (single action) is identical to the CZ 75 B in all aspects except that it has a single action trigger mechanism and a drop-free magazine. The CZ 75 BD only has a decocker not a manual safety.